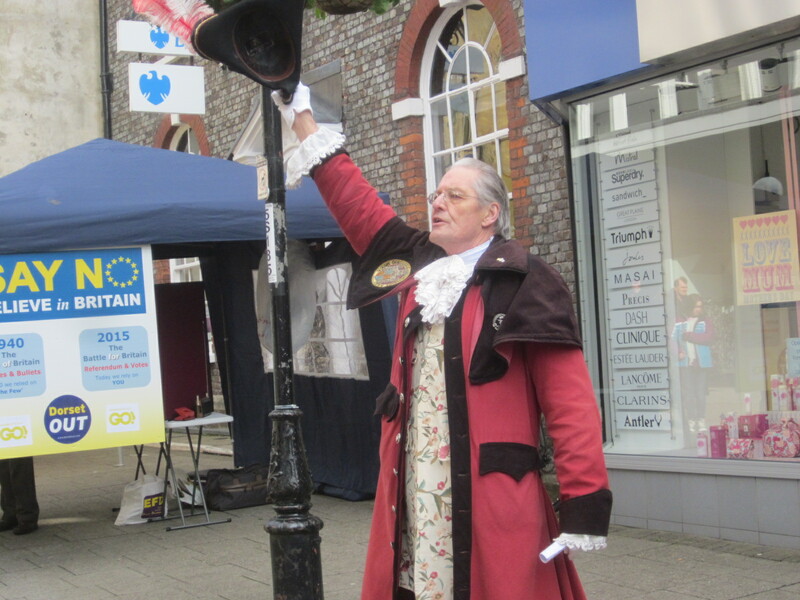 On Friday 5th March 2016 our President and Dorchester Town Crier, Alistair Chisholm, cried an invitation to passers-by in Dorchester’s South Street to come along to the Radio Daze evening of fun, the first event celebrating 50 years of hospital radio in Dorchester. Ridgeway Radio’s President, Alistair Chisholm, in full cry. 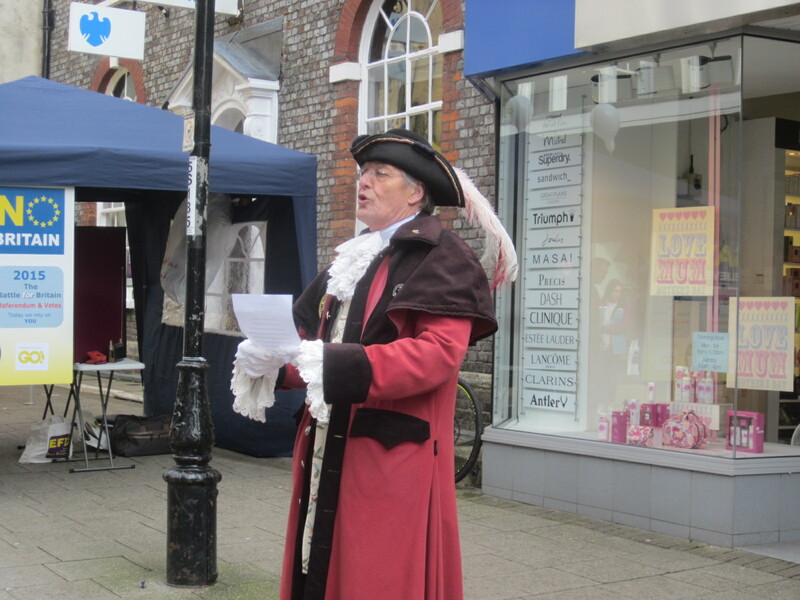 Alastair Chisholm, Dorchester’s Town Crier and Ridgeway Radio’s President, cries an invitation to attend Radio Daze. Accompanied by Ridgeway’s Amanda Yates. 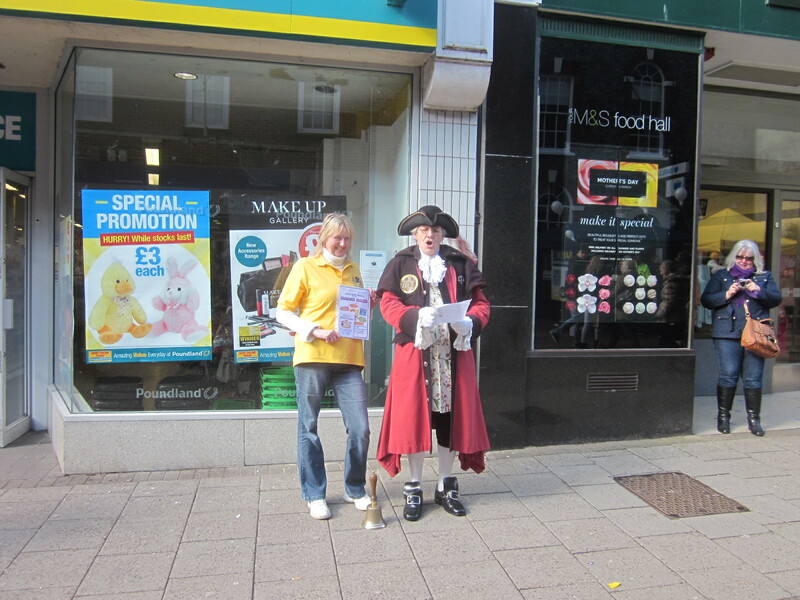 Ridgeway Radio’s President, Dorchester Town Crier Alistair Chisholm, in South Street.